I rarely buy comic books. I feel guilty when I do. My wife doesn’t read them, and taking a bit of the monthly family allowance to buy something only I will read feels like a selfish indulgence. And it is. But, hey, it’s my birthday. I’m allowed a little spending money on my birthday. 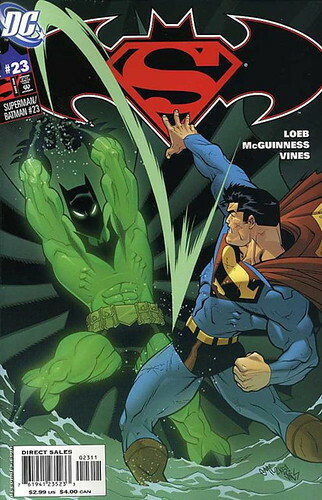 Ed McGuinness is my favorite comic artist–1) Because he draws a squared-jaw Superman that’s half realistic and half Saturday morning cartoon and 2) Because he draws Superman. I’ll admit it, the Man in Steel is my comic character of choice. Yeah, he wears a silly costume, but let’s not forget that he fights for truth, justice, and the American way. Not many people can say that. Nor many aliens, which Superman is. Better luck next time. C.